Chicken, Quinoa & Black Bean Burrito Bowls - Recipe! - Live. Love. Laugh. Food. 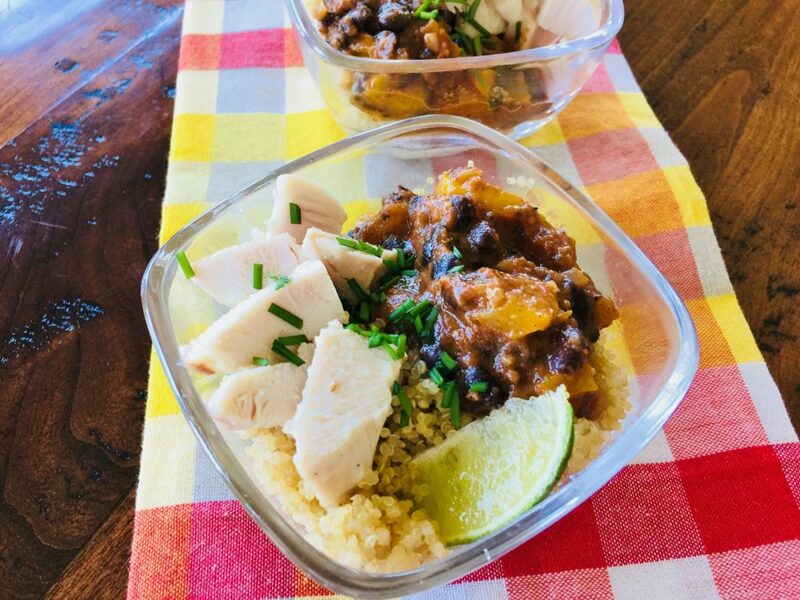 Chicken, Quinoa & Black Bean Burrito Bowls – Recipe! Burrito Bowls have been a popular thing for a while now and what makes them better than your favorite burrito on the run is that you can actually eat them as a meal with a knife and fork – sort of an upscale burrito experience. 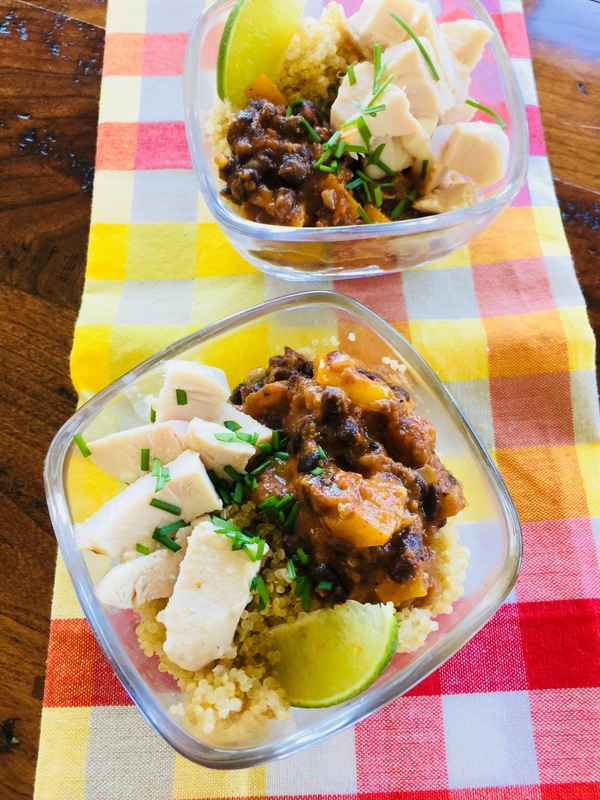 To create a tasty bowl, start with a diced rotisserie chicken breast and then, add a little steamy quinoa and some black beans that have been tossed with salsa, onions and a bell pepper. These bowls are fast, easy and healthy and I think they make a wonderful meal during the week when time is tight, and you are craving something other than the same old traditional meal you have been whipping up for way too long. I love the fact that this recipe is loaded with whole grains, instead of a white tortilla and the flavors are reminiscent of eating at your local Mexican taqueria. Also, you can make a few extra bowls and reheat them for lunch at work or put them in your child’s lunchbox for a new take on mealtime. Feel free to add a few extras on top like; sliced avocado, crema or some black olives – happy eating. 1. Remove skin and bones from chicken and cut into chunks, set aside. Add broth to pot and place over medium heat. 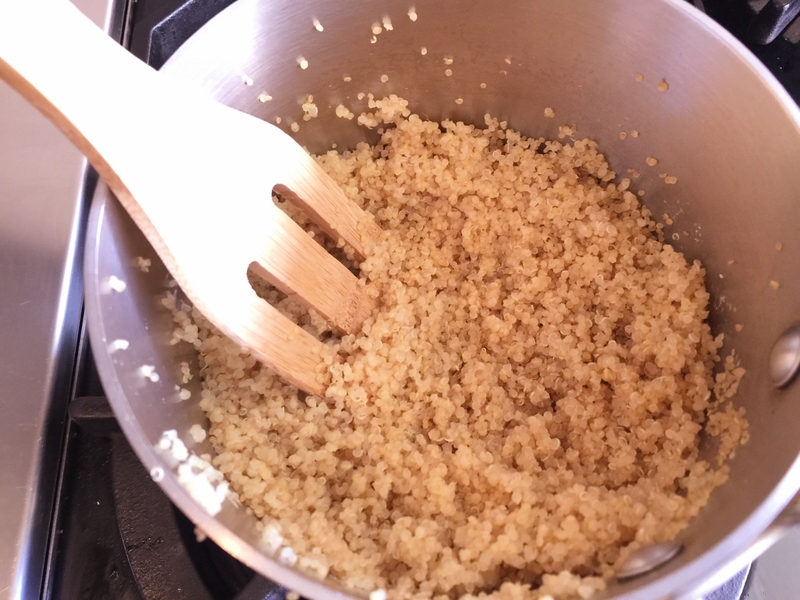 When boiling, add quinoa and stir. Turn heat to simmer and cook covered for 12 minutes. Remove lid and stir. 2. 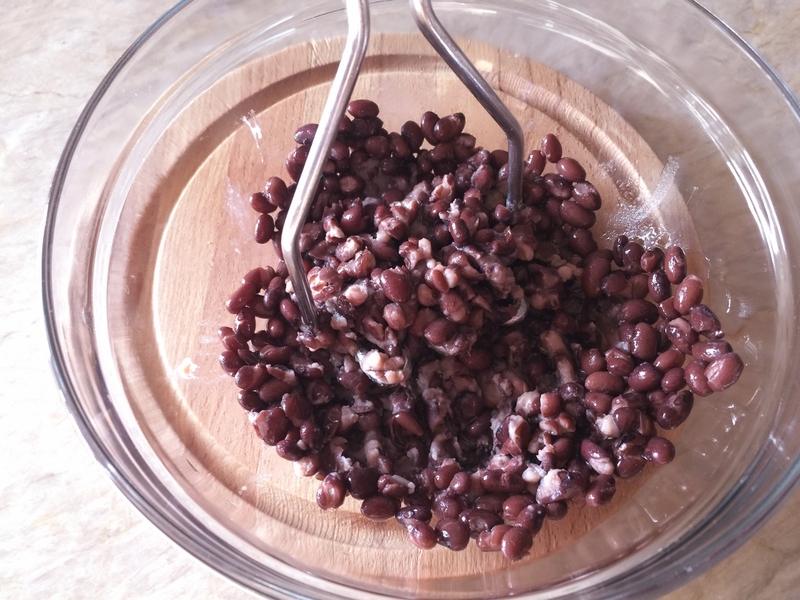 Drain beans and place in a bowl, mash lightly. 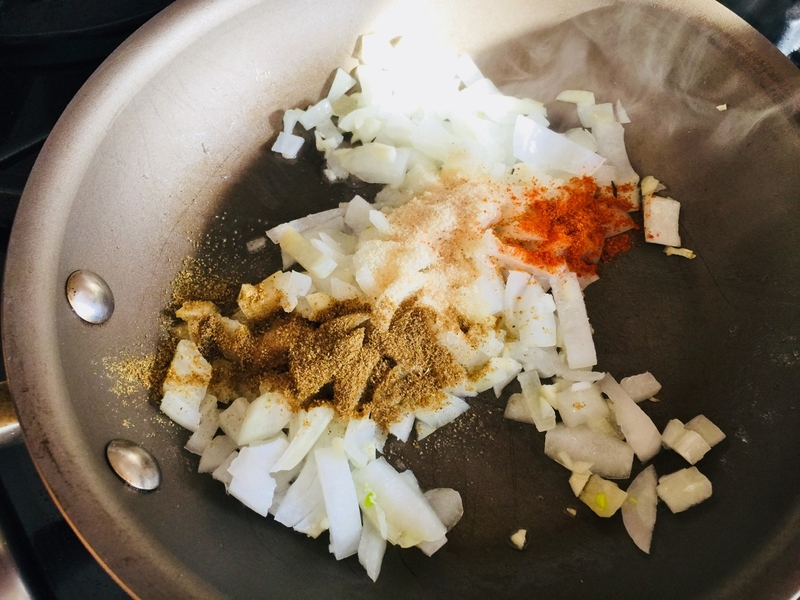 In a saute pan over medium heat, add 2 teaspoons oil, onion, bell pepper, garlic, cumin, onion powder, cayenne, 1/2 teaspoon salt and 1/4 teaspoon black pepper. 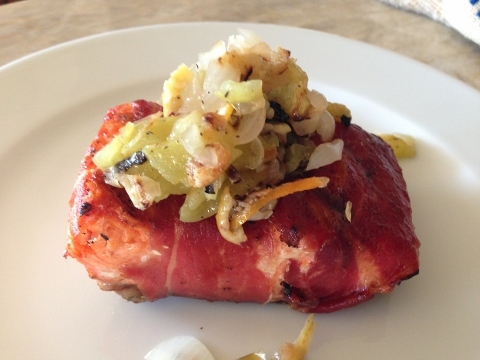 Cook for 4 minutes or until vegetables are tender. 3. Add beans and salsa to vegetable mixture and stir. Continue to cook for 3 minutes. 4. To assemble bowls – add 1/2 cup quinoa to each bowl, 1 cup of bean mixture and top with chunks of chicken. Top with your favorite things. Enjoy! Burrito BowlsChickencooking with Gena BellHow to Make Burrito BowlsMexican foodQuinoa & Black Bean Burrito Bowls - Recipe! 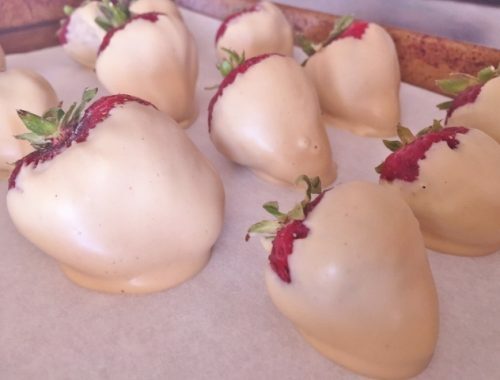 White Chocolate Peanut Butter Dipped Strawberries – Recipe! 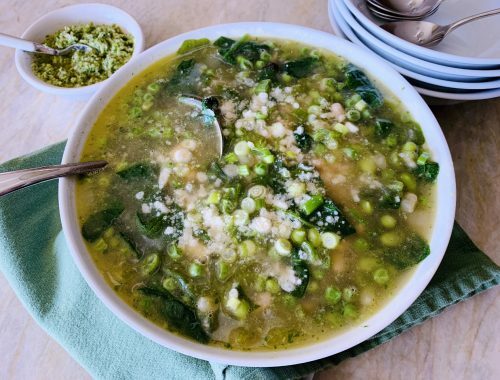 Green Minestrone with Spring Onion & Parsley Pesto – Recipe!